One of Australia’s top online poker sites, Intertops, will be celebrating their Aussie customers with a special tournament series with guaranteed prizes in each one. Intertops, hands down one of the most well-known and trust gambling sites around the world, is rewarding its customers from the Land Down Under with a unique tournament series that will feature six low buy-in MTT’s starting July 14th and concluding on July 23rd, 2017. Intertops has enjoyed great success in Australia for well over a decade now, where Aussies account for $1 billion in online gambling revenues alone every year. 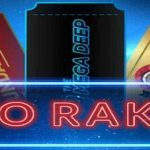 The brand that was once only known for their impressive sports betting background has moved up the ranks to become one of the best online poker rooms for Australians in recent years. How many events will the Aussie Tournament Series feature? For this inaugural tournament series, Intertops will only be featuring 6 low buy-in MTT’s that will only be available to online poker players in Australia. 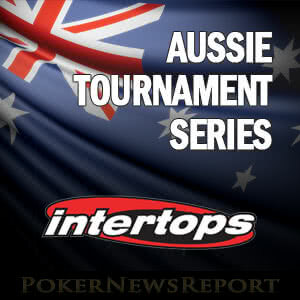 Existing Aussie players will of course be eligible to play, while new Australian customers can sign up for an Intertops account here and also be able to register for the tournaments right away. As you can see, all the events feature a registration fee no higher than $11. The guarantees are impressive for lower buy-in tournaments, although I’m sure the guarantees, number of events and registration fees will increase should they choose to make this a more frequent event. 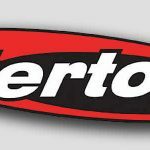 Since Intertops’ main business still revolves around their sportsbook and casino, it wouldn’t surprise me if this series was more of a “test run” to gauge how popular their poker product is to Australian customers. If it’s successful, expect to see more events to be aimed at Australians down the road, and with it an expanded roster of tournaments and much larger guarantees to boot. Is Intertops not overly concerned with updated anti-gaming laws in Australia? It doesn’t seem that Intertops is overly worried about the pending amendment to Australia’s original IGA bill (“Interactive Gambling Act”), which should be put into effect by the end of 2017 in Australia. That bill, which was reviewed and amended by legislators in the country earlier this year, is set to deliver harsher penalties and even fines by the Australian government for operators who have not paid proper licensing fees or taxes since the IGA became law in 2001. In a previously reported story on PNR, Ignition Casino and Poker made the bold move to open up their doors to the Australian market just last week. Ignition was previously only accepting players from the United States, who have similar online gambling statutes (“UIGEA” of 2005) put in place that mirror that of the IGA in Australia. The move for them to start aggressively marketing to Australia is a power move that will most likely see many comparable medium-sized operators looking to take their chances in a market worth a billion dollars a year. 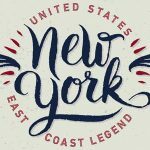 Despite power players like 888 Poker and a host of other poker sites, sportsbooks and online casinos exiting the Australian scene recently, it seems other big-name brands like Intertops and Ignition are willing to look the other way, much like they’ve done to the US government for quite a long time now. Time will tell whether these moves will pay off for each.